Handmade item. 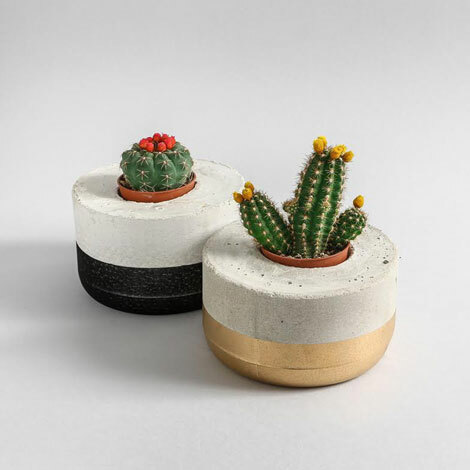 Material: concrete and sprayed Stripe: gold or black includes a cactus or succulent. If out of stock, kindly allow 4 days for production.